Pioneering work in assistive technology is transforming the lives of people who are unable to play conventional musical instruments. 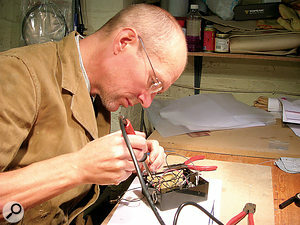 Doug Briggs is a freelance specialist in assistive and adaptive technology for music-making. Although many people feel nostalgic for the days of tape, the rise of digital technology has made it easy for us to record faster, more cheaply and more in tune. It's also given most of us new ways of disseminating our work. But for some, the digital revolution hasn't just made music-making easier or faster: it's made it possible. So what happened to Connee Boswell? As a radio star, the public didn't need to know she had polio and was confined to a wheelchair. But as visual media such as film and then television became more important, so her career went into decline. The advent of sound in movies meant that Bing could be promoted as a film star. He is still a household name to this day, but nobody wanted a star of the silver screen in a wheelchair. 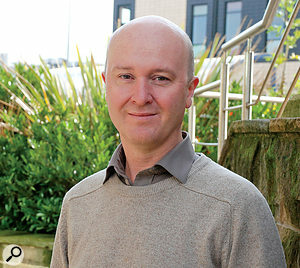 Dr. Ian Gibson leads the Adaptive Music Technology Research Group (AMTRG) at Huddersfield University. For a few years I have been involved in fundraising to support special-needs musicians, and recently decided I should find out a bit more about it. Assistive Music Technology (AMT) is a term coined by freelancer Doug Briggs, one of the pioneering practitioners in making music accessible to those with special needs. There is a common misconception that AMT is purely an extension of music therapy, and I discovered that this is far from the truth. 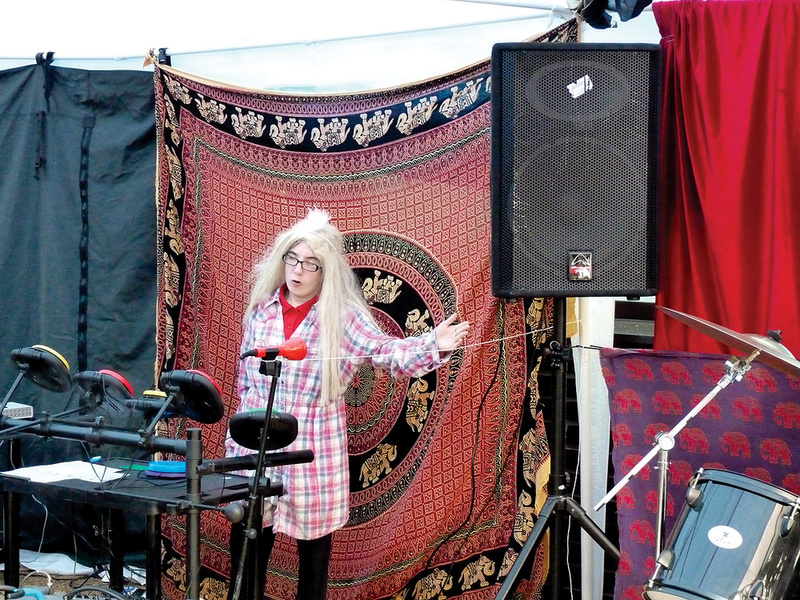 Historically misconceptions also abound about certain disabilities; for instance, percussionist Dame Evelyn Glennie contends that deafness is largely misunderstood by the public. She claims to have taught herself to hear with parts of her body other than her ears, and often performs barefoot to feel the music through her feet. The world of assistive technology covers two distinct but very much overlapping areas. On one hand you have what may start purely as music therapy, but can awaken a real talent within somebody who otherwise may never have had that opportunity. Alternatively we could be dealing with an established musician, who due to an injury, is suddenly projected into the category of 'disabled', like trumpeter Clarence Adoo of the Jazz Warriors. Some of the technology is thus designed for beginners and for therapeutic needs, but some is for the creative professional, or both. My research for this article involved a tour of various parts of the UK to talk to some experts in the field, starting off with a train journey up North to speak to experts in the field Doug Briggs, Dr. Ian Gibson and Mark Hildred at the Adaptive Music Technology Research Group (AMTRG) at Huddersfield University. Ian is the group leader, Mark runs Apollo Creative — a company researching, developing and producing AMT — and Doug is a freelance practitioner on the frontline of education and performance, who initiated the idea of the research group. 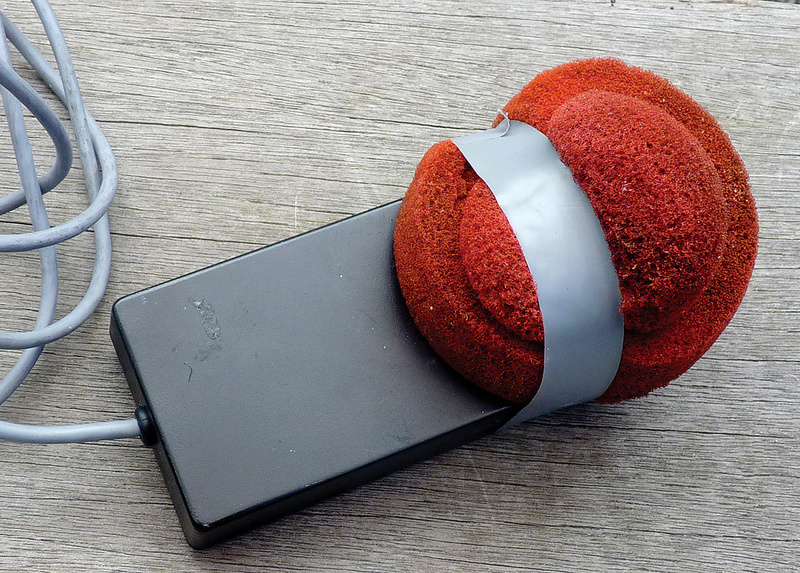 He has adapted many pieces of existing technology for special needs education, and where tight budgets are concerned, is not afraid to get his hands dirty with a roll of gaffer tape and a soldering iron. 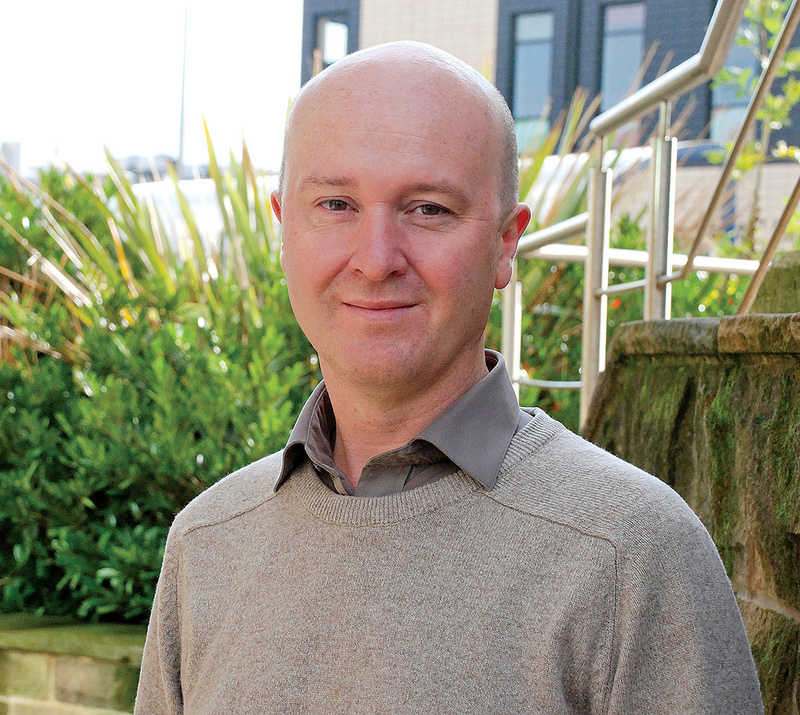 Mark Hildred runs Apollo Creative, a company specialising in adaptive technology for music. In this first article we'll be focusing mainly on the input stage, and the means by which a performer can generate MIDI data. Mainstream music-making generally employs purpose-designed switches such as keyboards or drumpads, which are built to output MIDI. For AMTRG's work, it's often necessary to make use of the plethora of generic AAC (Alternative and Augmentative Communication) switches available, and in these cases, a separate MIDI conversion stage is required. Electronics enthusiasts can make their own interfaces using an Arduino kit from Maplins. "Another sensor we used was originally designed for sorting potatoes, but discovered and adapted for music at the University of York,” adds Doug. Despite all their achievements so far, the group are aware that many further challenges remain. 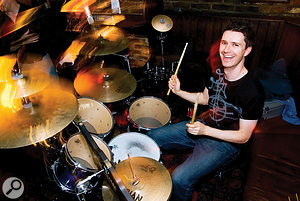 "The first big challenge for me is to be able to use proximity and movement sensors to play rhythmically,” says Doug. 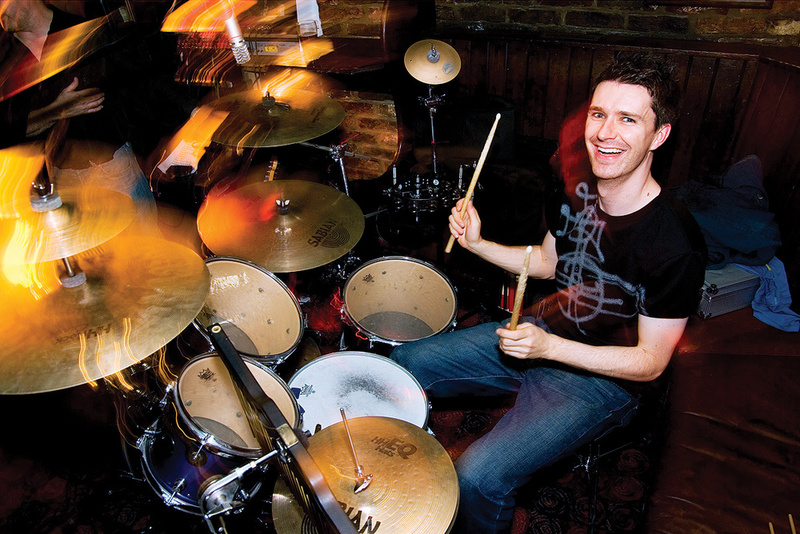 "Young people love rhythm, obviously, there's a groove and it pulls them in. 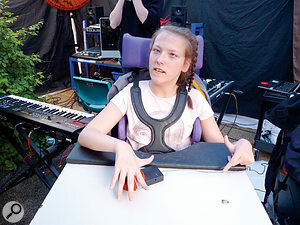 Even for a non-disabled person it's extremely difficult to play a Soundbeam rhythmically. I can address that problem to a certain extent using Sound Sculpture, but it's still a big challenge to go further with it. Next month, we will be looking at a few more switches before moving on to the music processing and performance stage. We'll look at the most oft-used software and hardware products, and explore some of the ways in which these have been put to use by artists. There can be sensitive issues around labelling and language in any field relating to disability, so it might be helpful to include here a short glossary, and introduce some of the most oft-used terminology. When referring to impersonal topics related to non-disabled areas such as technology or educational institutions, it is best to use the word 'mainstream' rather than 'normal'. Public perception of the term 'disabled' means that it is sometimes better to discuss 'special needs', though we shouldn't be scared of using the terms 'disabled', 'disability' or 'impairment'. AAC, short for Alternative and Augmentative Communication: a blanket term to cover communication methods used to help anyone with impairments to write and speak. AMT, short for Assistive (or Accessible) Music Technology: Music Technology which helps anyone with a disability. AMT draws on mainstream and specialist music technology software and hardware and AAC software and hardware. 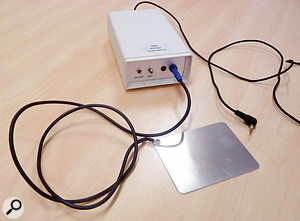 Adaptive: this is used to cover adapting other mainstream or AAC technology for AMT purposes. These can include available AAC switches, existing technology such as Wii controllers and proximity sensors. Almost any 'switch' can have a use. Mainstream sequencers can be made more accessible by the use of overlay software like The Grid. 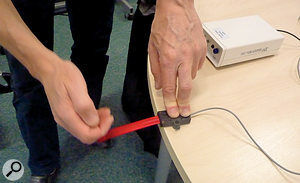 AMT software allows a teacher or 'conductor' to modify a performance, which can allow limited physical triggering or people with learning difficulties to create more complex musical structures. Even profoundly disabled engineers can use proximity sensors to operate faders and knobs on mixing desks. People with severe learning difficulties may need extra coaching to understand cause and effect — the relationship between operating a switch and hearing the created sound — something most of us take for granted, but it's this process which aids and reinforces learning. A musical performance can be anything from a very basic performance which nonetheless produces a profound sense of self worth, to a full-blown professional concert performed and composed by creative musicians who would otherwise be limited in ways to express their art. How Easy Should Music-making Be? "Garageband is an interesting example, where it's very easy to get into something at an entry level, but once you progress beyond that it's actually more difficult to achieve things than if you'd started off on a professional package,” adds Ian Gibson.